Roxborough Living - Abraham Lincoln To Visit Roxborough! Roxborough Area Historical Society will be hosting an exceptional guest during their annual meeting – Abraham Lincoln! More specifically, Abraham Lincoln presenter and look-alike, John Voehl.
" 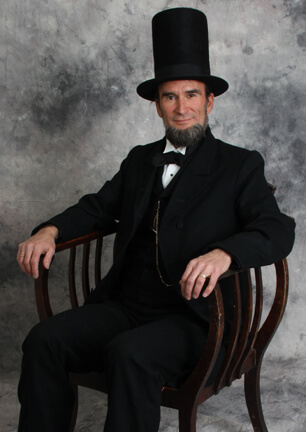 /> Roxborough Area Historical Society will be hosting an exceptional guest during their annual meeting – Abraham Lincoln! More specifically, Abraham Lincoln presenter and look-alike, John Voehl. Abraham Lincoln To Visit Roxborough! The Roxborough Area Historical Society will be hosting an exceptional guest during their annual meeting – Abraham Lincoln! More specifically, Abraham Lincoln presenter and look-alike, John Voehl. John Voehl is a lifetime member of the Association of Lincoln Presenters and has appeared before thousands of people as Lincoln. He accidentally fell into the role in 1996, despite his resemblance to Lincoln. Voehl has always been fascinated with the 16th US President but it wasn’t until a friend needed a favor when he began reenacting the historical figure. Voehl’s reenactments are historically accurate and are presented in the first person. The typically closed meeting will be open to all Roxborough residents on Thursday, January 28th. The doors of Roxborough Park’s Community Center will open at 7pm and is free to all that can join (donations are appreciated). Please RSVP by emailing roxhistory@msn.com. For more information, please visit www.roxhistory.com.